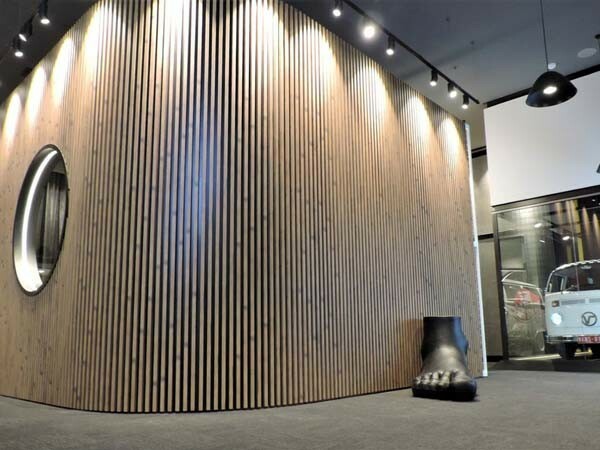 Takasho Ever Artwood, an innovative timber-look aluminium cladding product from Covet International was specified for an office fitout project in Richmond. Collaborating with design company ACRD, Covet supplied their Takasho Ever Artwood aluminium cladding for the boardroom in the office. Designers continue to be drawn to the realistic and unique aesthetic of Takasho’s Japanese timber palette, coupled with its excellent FR attributes.